Alison Shaffer: See MARVEL’S GUARDIANS OF THE GALAXY exclusive World Premier trailer. See MARVEL’S GUARDIANS OF THE GALAXY exclusive World Premier trailer. See the newest trailer from Guardians of the Galaxy over on their Facebook page Post by Guardians of the Galaxy World Premier viewing. 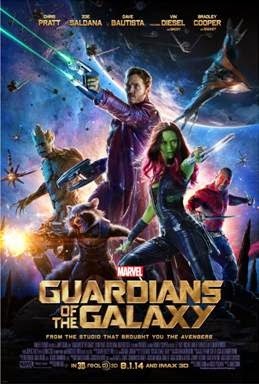 Chris Pratt, Zoe Saldana, Dave Bautista, featuring Vin Diesel as Groot, Bradley Cooper as Rocket, Lee Pace, Michael Rooker, Karen Gillan, Djimon Hounsou, with John C. Reilly, Glenn Close as Nova Prime Rael and Benicio Del Toro as The Collector. In theaters August 1, 2014.
rating is not yet available.